Resistance is futile. Love is the answer. We spend our lives struggling to make sense of our lives. We spend time and energy doing whatever we can to create value in our world. To live on purpose. To be of significance. To leave our mark. It is the eternal impulse to create, to evolve, to grow, to become that we honour in our travels through life. It is the eternal urge to shine, to cast light, to cast off the darkness that moves us in our journey. All of these things are important. They are our journey. They make a difference in the quality of our journey — but not our existence. For no matter what we do or become or say or acquire or create, when all the doing, all the struggle to be, to have purpose, to know our ‘raison d’etre’ is over, one irrefutable truth remains. Love is the answer because We are Love. No matter what we do, when we leave this earth, when our bodies dissolve into tiny atoms of matter, it matters not to the Universe what we did or had or created. What matters is — we are and always will be, Love. It was so clear to me in my meditation. The energy. The beauty. The profound depth of our exquisite nature. We are Love. And in this journey of our lifetimes, what we do in our daily lives enhances the quality of our journey. Never the quality of our essence. For always, our essence is perfect. Our beings are divine. We are Love. I saw it on a a walk with Beaumont. In spite of the snow and cool temperatures of the past month, the crocus have pushed up through the grass, up towards the sky. Their urge to create, to become, to be is a continuous cycle of life and death which they cannot resist, regardless of the conditions around them. And in their blossoming, for a few short days/weeks, they create beauty in our world, making way for other blossoms to follow. In my life, I have struggled to create matter, to be of significance, to make a difference. It matters not how I struggle. Resistance is futile. I am. Love is. Life goes on. And when I am gone, all I can leave behind is that which I am — Love. When I am gone, the space I have filled with my being here will remain as its true nature — Love. And in that knowing I am comforted. It isn’t about ‘what’ I do, or acquire, or create. It’s about doing all that I do, all that I am, In Love. We laughed. We savoured the sunshine and warm spring air and then we climbed. 167 stairs in total. Each set. Beaumont and I completed 8. I was going for 10 but the heat was getting to be too much for him and by mid-afternoon, I called it quits. Others kept climbing. Some did 50 sets. Others even more. From small babies in backpacks to seniors, we climbed for a cause and in memory of Suzanne West, an amazing woman whose vision and passion for ending child and family homelessness lead to the creation of Steps to End Homelessness nine years ago. April 26th would have been Suzanne’s 53rd birthday if cancer hadn’t cut her life short on March 6th of this year. Last year, the 8th annual Steps to End Homelessness in support of Inn from the Cold attracted over 400 climbers. We’re pretty sure we surpassed that number yesterday. One of the climbers shared his story of having run the stairs with Suzanne for months, training for Steps two years ago. On the day of the climb, he didn’t feel well but pushed on. Halfway up one set he stopped to catch his breath and thought he might have to quit. By the time he reached the top, he felt weak, dizzy and physically ill. He called it quits, walked to his car, got a few blocks away before realizing he couldn’t drive any further. He carefully parallel parked his car, (I’m an engineer, he told me, I had to parallel park properly), opened his door, fell out of the car and broke his wrist. He crawled to the front bumper where two women saw him, dialed 911 and got help from the school nearby. He’d had a massive heart attack. High and imposing, the wooden staircase serpentines up the side of the McHugh Bluff connecting Memorial Drive to Crescent Heights above. Years ago, when I ran half and full marathons, I’d run these stairs again and again. Now, I pace myself. Or at least I try to, but with Beaumont straining on his leash tied around my waist, it’s hard to go slowly. He’s determined to reach the top. I don’t run back down the stairs. It’s hard with a dog and the crowds on the stairs to go down, not to mention my knees are not fond of it either! We take the pathway along the top of the ridge and follow the trail down. Like the hundreds of others who climbed for the Inn yesterday, we raised $1 for every set. Though I did claim senior status as I’m 65 this year. Which means, my sets = $2 and Beaumont’s = $1. Pregnant moms also raised $2 per set with dogs, adults and children raising $1 each. It was a day of fun, laughter, sweat and for some, tears. Like the man who’d had a heart attack two years ago and the family and friends of Suzanne West who came to cheer everyone on and to welcome the climbers and thank them for their efforts, it was also a bittersweet day. Suzanne is gone. Her legacy will live on. Yesterday, several hundred Calgarians came out to honour a woman, to celebrate her life and keep her dream of ending child and family homelessness alive. These guys did many sets in full gear! Living at the edge of the river, I am conscious of its flow. Winter snows are melting further to the west. The mountains are casting off their snowy blankets and fields are drying out. The waterways are swollen with the fullness of spring run-off. There is flooding in other communities in southern Alberta. I watch the river beside our home intently. In 2013, this broad stretch of water flooded. It flowed over the homes to the west of us covering the neighbouring community in dark and murky water. A neighbour tells me it reached our fence line, and while they were without power for four days, and the street was evacuated, there was no damage to our homes which stand on a bluff 8 feet higher than the other side. I watch the river intently. I see the difference in the height of the waterline against the buttresses of the bridge. There is power in the river. I love its flow. The gentle lapping of each ripple flowing ever eastward towards Hudson’s Bay far, far away. In the mornings after my walk with Beaumont, I stand outside our door and listen to the river below. It sounds happy,like it is singing a song of greeting for the morning. Music to start my day. I carry its music with me. I live along the river. It is a beautiful place. Serene. Peaceful. There are two bridges not far away. The closest carries people from one side to the other, the further one, traffic. And though the bridge is not far away, the noise is never enough to drown out the sounds of the river racing along its course. There is always music in the river. Can you believe it’s been 3 years? And amidst all that is happening now, this too is happening now. Three years ago today, my beloved and I stood on a sun-drenched patio overlooking Okanagan Lake. Surrounded by the vineyards of Bench 1775 stretching to its shores and the beautiful mountains on the other side, we said our “I Do’s” and promised to grow through love always. The day began dark and stormy. I really wanted an outdoor wedding but it appeared Mother Nature had a different idea. The rain fell in heavy sheets. The sky was dark and gloomy. Finally, knowing I had to get back to Therapy Vineyards and Guest House where we were staying and where the girls and I were getting ready for the wedding, we set the chairs and bower up indoors. I reconciled the image I held in my mind of what our wedding would look like to the reality of nature’s downpour and breathed deeply. Love is in the air. Who cares about the rain? And then, it happened. Just before 4pm when my daughters and I were to arrive at the venue, a friend text me to show me the skies had cleared. Tell everyone to pick up their chairs and move the wedding outside, I text back. Amidst laughter and good humoured jostling and comments of, ‘trust Louise to put us to work’, guests quickly picked up their chairs and moved everything outside. The chairs were lined up on the patio. Our dear friend Alyssa placed her chair and cello at the front of the gathered guests and began to play. My daughters and I walked down the aisle from one direction, while C.C. and his son and daughter appeared from a side entrance. We met in the middle of the aisle. C.C. and I joined hands, kissed our children who lined up behind us and together, we walked to the front of the deck where our friend Al waited to marry us beneath the white, flower laden, bower that had been moved outside when the sun came out. Across the lake, above the mountains that edged the horizon, fluffy white clouds danced a heavenly chorus beneath the bright blue skies above our heads. The wind blew. It wasn’t all that warm, but I didn’t care. This is the stuff wedding dreams, and marriages, are made of. Weathering storms. Confronting obstacles. Changing course. Going with the flow, and always following your heart. C.C. and I have been married 3 years today. It hasn’t been all blue skies and sunshiney days. We’ve faced ups and downs and not so pretty moments. We’ve struggled sometimes to understand why the other does what they do. We’ve picked opposite sides. Sometimes, we’ve held our opinions as more important than the space we share as husband and wife. But, no matter the weather, or the storms, we always come back together to this sacred space where we hold each other in love. Where we honour the other’s opinions and have the courage to let go of whatever side we’re on so that we can stand on the sacred ground of our being together. Three years ago I said “I Do” to the man who always makes me laugh. He also makes me a smoothie every morning and dinner lots of nights. He is kind and caring and thoughtful and loving. He is willing to stand in the broken places with me so that together, we can find our way deeper into the heart of what makes us, us. To the threads that bind us together stronger and stronger every day. To that which is always the answer, Love. Categories: Marriage, Wedding vows | Permalink. O’ Canada O’Canada. Where has all our innocence gone? Your news is heavy. Tragic. It sits, restless, in my heart, stirring up grief and sorrow, fear and pain. Unsettled in its presence, I yearn for those days gone by when thoughts of cars careening into crowds of people walking innocently along a sidewalk on a sunny spring day do not crash into my peace of mind. I yearn for those days gone by when I did not fathom the darkness that could arise from the depths of our human despair yearning to destroy one another through acts, so horrific, I struggle to fathom how one man could do such a thing. I do not understand these times, no matter how hard I struggle to make sense of unraveling the senselessness of rampaging along a city street where once I walked, long ago. I do not know how to measure my feelings amidst the storm of fear and sadness that washes over me when I see the pictures, read the stories of innocent human lives lost to one man’s decision to drive into their springtime wanderings unbidden, unwanted, unseen. O’ Canada. O’ Canada. Where are we going in this age of unreasonable acts that destroy lives at the intersection of here and now yearning for the there and then of not so long ago. O’Canada. O’Canada. Death is a final act. To take a life you must have given up completely on your own life. Yet still, the one who did this lives, despite himself. his victims, their families and friends? Will he look back on what he did and cry out in despair? Will he feel the burden of his acts that lead to such devastation? Will he mourn with the rest of his countrymen and women? I mourn for thee O Canada. I mourn for our innocence lost. Our citizens gone. Our world changed. I mourn for this man who in his darkness created a world of darkness all around. I mourn and carry my grief, heavy, like a flag bearer marching to the beat of an unseen drummer. I hold my back straight. My head high. You will not bend me. You will not destroy me. I will not succumb to the fear you would embed within my heart. I will not give way to your terror. Slowly, I walk searching for the way back to Love. I cry for the fallen and stand on guard for thee. My heart cries out in sorrow for the lives lost and the families who are missing their loved ones or sitting by the bedsides of those who were injured in yesterday’s devastating tragedy that began at Yonge and Finch in Toronto. This is courage. This is strength. This is a woman’s story of survival and victory. An amazing story told by an amazing woman. I am driving in my car when I hear Anna Maria Tremonti, of CBC’s ‘The Current’, interviewing Grace Acan, a woman who was abducted as a schoolgirl by Ugandan rebels and now helps other casualties of war reclaim their lives. Tremonti is gentle in her questioning. Careful to allow Grace Acan space to respond. Or not. I hear the strength, courage, heart in Grace Acan’s voice and find tears pooling along the bottom of my eyelids. “I learned to do everything — however hard it was — in order to survive,” Acan says. She was was 14 when fighters for the Lord’s Resistance Army came to her school’s dormitory in the dead of night and abducted 139 girls. 30 would be released. Grace would spend the next 8 years doing whatever it took to survive. It was all about living. And when her captivity ended with her escape nearly 8 years later, she kept on living. 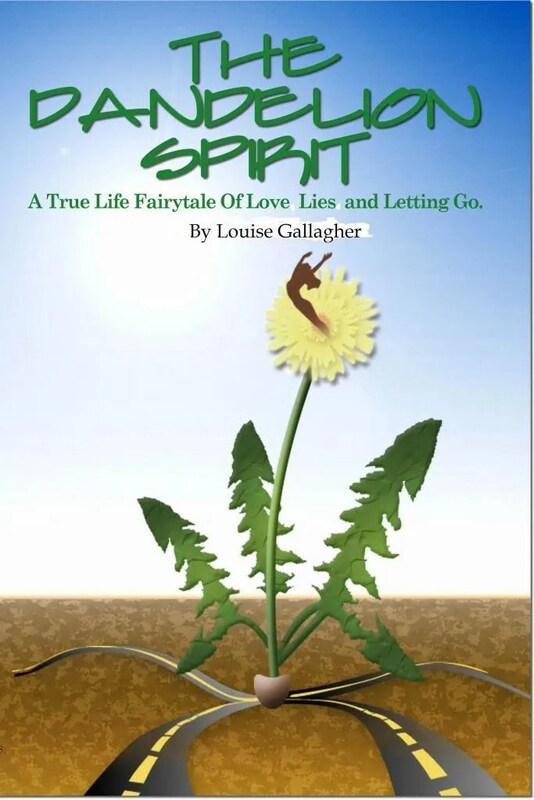 Kept on pushing through her pain and sorrow and fear because, she tells Tremonti, she had to survive, ‘for the family she had left behind and the children she bore while in captivity’. And my mind travels back to a time when I was released from a relationship that was killing me many years ago. By the end of that 4 year 9 month journey I was emotionally dead. The physicality of my being present here on earth was more of an inconvenience, an annoyance that I knew he would deal with in his own time. That time was getting closer as I had given up on me and fallen into the belief I was powerless over him. I was waiting to die. And then, a blue and white police car drove up and two officers got out and arrested the man who had promised to love me until death do us part — as long as he had control of the death part. I was broke, broken and lost. But I was alive. What a gift life was! Most would smile (nervously) and agree and walk on. And I would keep smile and keep walking, one foot in front of the other, as I worked to restore my sense of well-being, my sense of self, of who I am when I’m not carrying the label, “Abused Woman”. Recovery is a journey. Of hope. Belief. Trust. Love. It is a two steps forward, one back and three forward again. It is a spherical path leading ever further and higher away from the darkness into the light of knowing — Life is a precious gift. Use it wisely. Use it serve others. To create better in this world. To bring light and joy into whatever space you can. Life is precious. Treasure it. This May 21st marks 15 years since that morning when I got the gift of my life back. I don’t think of those days often. Yet, when I hear a woman like Grace Acan speak, memory tugs and I am reminded once again how blessed I am, how fortunate, how lucky. I survived that journey. I have rebuilt my life, reclaimed myself, healed and deepened my relationship with my daughters. They were my unseen angels throughout those dark months at the end where I was lost and didn’t believe I had the right to live. It was because of them I never took my own life. It is because of them, I live my life today, passionately in love, honouring the gift of my life fearlessly, totally In Love. 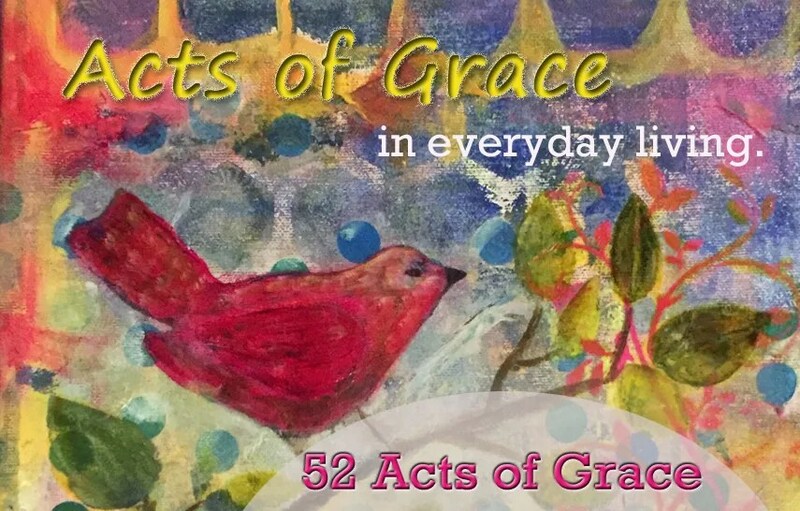 Categories: acts of grace, Essential Journey | Permalink. I had no idea being a grandmother, or YiaYa as I’m called, would make my heart feel so incredibly full. I had no idea. But isn’t that just like life? We don’t really know what it feels like to do or experience something… until we do. And then — Wham! It hits you. Life is full of miracles and adventures and incredible happenings that have the capacity to take your breath away and leave you feeling so sated, life before pales in comparison to life now. C.C. and I drove Alexis and our grandson, Thurlow, to the airport last night for their journey home. It was bittersweet. Spending the last week with him has been a beautiful journey of laughter, joy and Love. Knowing he is going home with a mother who loves him so deeply and to the welcoming arms of his very excited father helps soften the sadness of their departure and though there is distance between us, I carry him in my heart. The only two creatures in our home this morning who were happy for the quiet were Beaumont and Marley. Both furry kids had their noses slightly out of joint at all the attention paid to the bundle of joy called Thurlow. Marley disappeared into the furnace room throughout the day, coming up at night when the coast was clear to sleep on our bed. Beaumont ventured a couple of licks of Thurlow’s feet, but aside from that, he mostly gave him a wide berth. It is stunning to watch my beautiful daughter as a mother. She is soft and gentle, caring and relaxed. She takes everything in her stride, singing and cooing to her son as she cuddles and feeds him. She moves with his flow, timing her actions to his needs. She is amazing. It was also incredible to watch my mother as she met her Great Grandson. She was so excited and thankful to be able to have the privilege to be here to meet him and told him she is looking forward to watching him grow. She turns 96 in August and is hoping Alexis will bring him back to wish her Happy Birthday. I hope so too! In the meantime, I shall revel joyfully in this state of blissful YiaYa-hood and savour each video call and photo my daughter sends. Categories: Being a grandmother | Permalink.